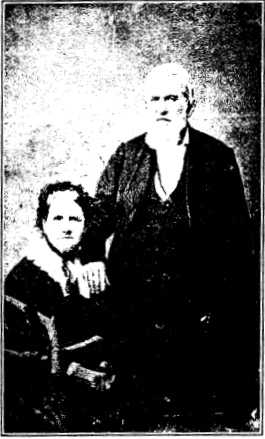 Photo Source: A record of the descendants of Isaac Ross and Jean Brown : and the allied families of Alexander, Conger, Harris, Hill, King, Killingsworth, Mackey, Moores, Sims, Wade, etc. IMPORTANT: The book, A Complete History of Methodism, resides in the Public Domain. The summary and photographs contained on these pages may be downloaded for personal, non-commercial use only, and may not be republished.Copyright restrictions may apply. sincere appreciation to Bren Cloud for making this material available. Tombigbee Circuit and The Creek War . This book chronicles the experiences of the Rev. Tobias Gibson and his successors in the Natchez Territory during the period ca. late 1700's early 1800's. Included are many names and descriptions of early families, and of the area. In addition to being extremely interesting reading, this summary provides a factual and unusual look at the era, and of the families who, in spite of the wilderness and inherent dangers, migrated into and settled what is today Adams, Amite, Franklin, Jefferson, and Wilkinson Counties, in Mississippi. For ease in navigating the pages, hypertexed general topic headings have been added. Photographs have been inserted for interest, and links have been added for those readers who would like more background information on a particular subject. Use the "Back" button on your browser to return to these pages after visiting linked sites.